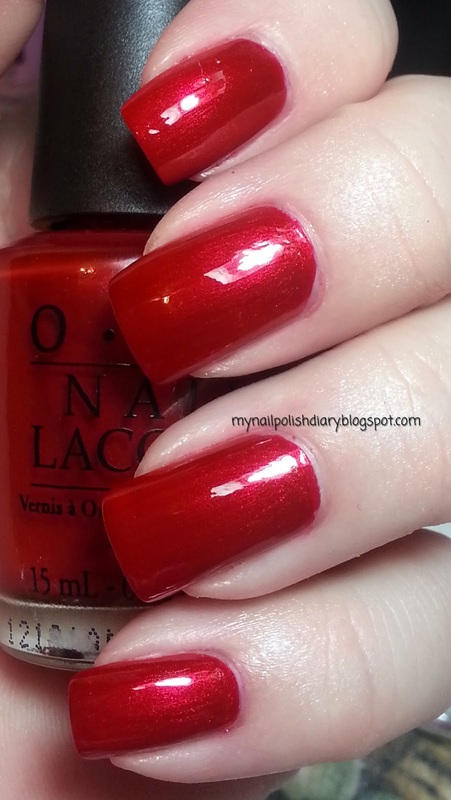 OPI Danke-Shiny Red was released in the Germany Collection this past fall. It's a shimmery red and it's glorious. The golden shimmer is so gorgeous. This is a red I think would look good with any skin tone. It's perfect. Absolutely classic.